It was a busy first week of the 2018 legislative session. We convened the session this past Monday and it was eventful, to say the least. Climate activists interrupted the opening ceremonies and Democrats who now control the Senate were unable to adopt their own rules for the session. Protecting taxpayers will be a tough job this year. It was no surprise that Democrats removed the Senate rule requiring a 2/3 vote to pass tax legislation. Before the legislative session, I sent out a survey asking for your priorities this year. Thank you to everyone who participated. I have put together the results so that you can see what our community thinks I should be focusing on. Please click here to view the results. 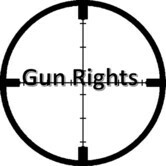 I am very concerned that the privacy of law-abiding citizens will be infringed. I predicted before the session that anti-gun legislators who now control all levels of state government could be problematic for gun owners in our state. The fact that a state agency is seeking guidance on whether they can share private information when state law is clear necessitates legislative action. I am standing firm protecting your gun rights. The proposed bump stock ban is just camouflage for semi-auto and trigger job bans. 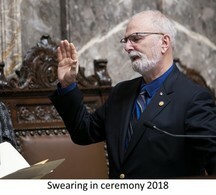 It's an honor to serve as your state Senator. Please don't hesitate to reach out to my office with any questions or concerns about your state government. In the 2018 legislative session, I will serve on the Financial Institutions and Insurance Committee and the Senate's Transportation Committee. Everybody knows government wastes money. The question is where is the waste? That’s why I introduced legislation that would reward state employees with a sizable bonus for finding government waste. Now that Democrats are in control of the Legislature, relief from outrageous car tab fees is unlikely. In fact, the latest proposals will do anything but help those struggling to afford the steep increases. A bill being championed by Democrats creates payment plans and actually increases the car tab costs! 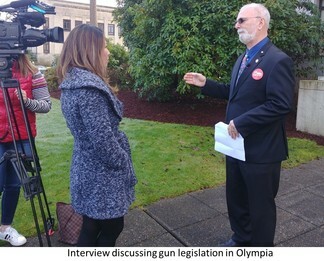 While some in Olympia are working to protect Sound Transit, I am fighting for you. Click here to read a recent article on this issue.